For para swimmers Mohammed Shams Alam Khan and Satendra Singh, the excitement around World Disability Day seems empty. These champions are struggling to pursue their passion of swimming for their country. Alam, who is from Mumbai, wants to participate in the Asian Para Games 2018 but is struggling to find sponsors for advanced training and to take part in qualification tournaments. 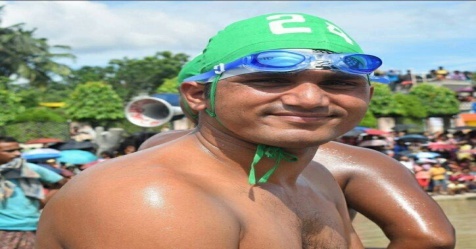 Alam is the Limca Book world record holder for the longest open sea swimming paraplegic in 2014. Alam also set a record for completing the longest open-sea swimming by a paraplegic by covering eight kilometres in four hours and four minutes in Goa. He says he is confused about whether to take up a full-time job or continue with his passion for swimming. He has no support from the Maharashtra government. This is even after winning two gold medals during the Nationals in Udaipur in November. Alam won gold is S5 category with national records in 50m butterfly and 100m freestyle, and a silver in 50m freestyle. His friend Satendra Singh from Gwalior is a long distance para swimmer and is currently training in Pune with three others para swimmers Rimo Saha, Chetan Raut and Jagdish Teli for the English Channel Relays but they are struggling to raise funds required for expenditure in the competition. Raut is from Amravati.